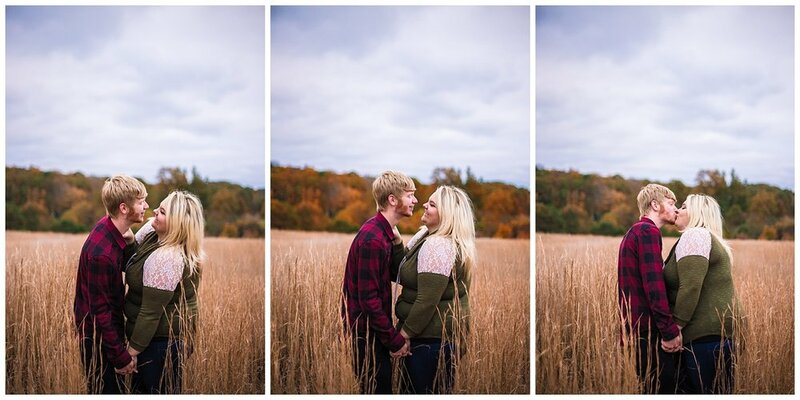 So this couple, I feel like I've known for too long (that's a lie you can never know someone for too long) but I first met Sam at Casey and Frank's wedding and THEN I actually shot her senior photos! So when our fall weather came, (which here in Kentucky we NEVER had fall weather. No pretty leaves, just a whole lot of green) Sam was excited -demanding- to have fall sweetheart pictures done and when I called her and told her the last minute date she jumped on it! This session was just dynamic! From the random pit stops on the side of the road to a certain pup getting loose, we had made sure to make this session fit to who they are, even though it was FREEZING! 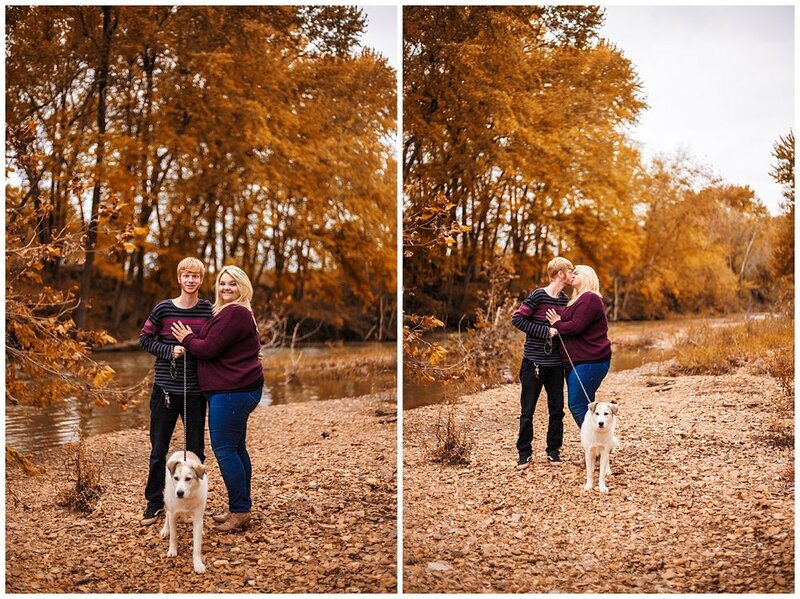 Check out some of the sweetest shots from their session!